We the people would first like to thank you for becoming a cosponsor of Congressman Alcee Hastings H.R.1406. We truly cannot begin to express our sincerest gratitude to you. We write to you today to bring awareness of H.Res.401 which goes hand in hand with H.R.1406 and respectfully ask if you would please also cosponsor it as well. Is a BI-PARTISAN global resolution urging all countries to outlaw the dog and cat meat trade and to enforce existing laws against the trade. On November 15, 2017 the ENTIRE F.A.C. led by Chairman Ed Royce UNANIMOUSLY declared that the global dog and cat meat trade is reprehensible and approved H.Res.401 with 100% support. This trade is about torture. Purposeful, intentional and deliberate torture of 30 million dogs and cats who are barbarically killed for human consumption every year. A majority of these animals are STOLEN PETS, grabbed right out of peoples yards and taken to the slaughterhouse where they are hung and beaten, nail-gunned to walls, disemboweled, blow-torched, skinned and boiled ALIVE still wearing their collars. This unregulated, disease-ridden industry enables corruption where existing laws are NOT enforced, leading to 30 thousand human deaths annually. It has become a worldwide public spectacle. Is the Dog and Cat Meat Trade Prohibition Act of 2017. 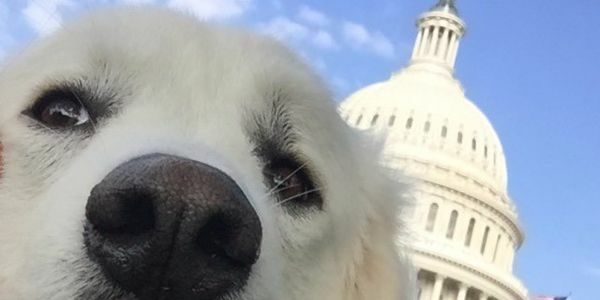 This BI-PARTISAN federal bill would prohibit the slaughter, transport, possession, purchase, sale or donation of dogs or cats for human consumption in the U.S.A., where it is still legal in 44 states. H.R.1406 stands to represent much more than protecting our beloved companion animals that we consider family. It would prevent this abhorrent trade from taking hold in the United States while showing unity with other countries whom already enacted bans and strengthens our hand in seeking to end it worldwide. We must make it illegal and consistent in ALL 50 states so we can lead by example in order to encourage the rest of the world to follow suit. We plead for your compassion and for your power to stand with the people and for the voiceless by cosponsoring H.Res.401 as well today. Please join the movement.